Expect your baby to be putting their hands in the mouth quite often. 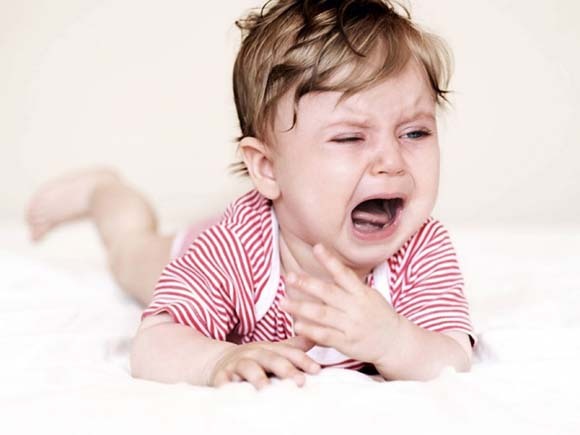 During teething, your baby’s gums become tender and sore. As a result, your baby will have the tendency to touch their gums with their fingers to soother them. Some parents suggest using your clean finger or a cold teething ring to rub your baby’s gums for about a minute or two to help soothe the discomfort. Experts think that babies do this to create counter pressure that eases of the discomfort and pain that they may be experiencing. It’s more of an instinctive massage reaction to ease the discomfort. Because of the heavy drooling, expect to see some skin irritation while your baby is teething. 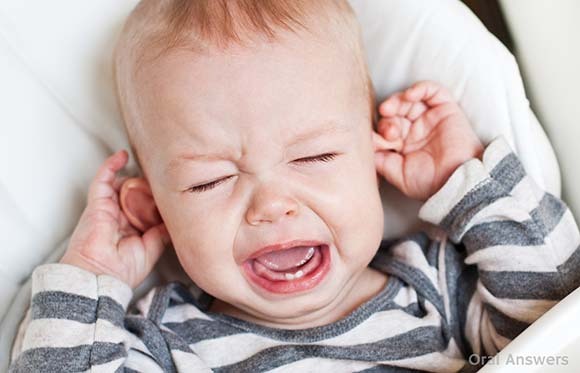 Because of the discomfort as a result of teething, mood swings may be quite an occurrence. Be a little patient as your baby may be showing a little bit of crankiness and grumpiness. As baby teeth starts to come out of the gums, your baby’s gums may become increasingly sore and uncomfortable. Hence, this may lead to fussiness and crying. Just do your best to comfort them and give them some extra loving care. If a baby’s gums are causing some (or a lot of) discomfort, it is really likely that they would be doing this … see next page.